Choose a topic to visit the recommended websites for this book or find downloadable pictures. 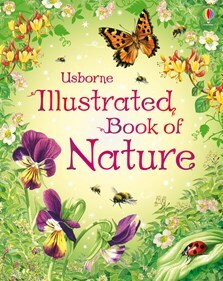 A charmingly illustrated book filled with fascinating facts and fun things to do for nature lovers. Young children can learn about the secret life of birds, the wonderful world of trees and flowers, the wildlife living on the seashore and in their own back garden. Includes ideas for things to grow and do, free downloadable pictures and internet links to fun websites.